Wounded Driver, SN 1555, 14th Field Artillery Brigade , Sick with respiratory ailments. Transferred to England than after recovery to Lark Hill training camp. Wounded Driver, SN 1555, 8th Field Artillery Brigade , Sick with respiratory illness, sent back to England. Help us honour George Henry Cameron Holding's service by contributing information, stories, and images so that they can be preserved for future generations. 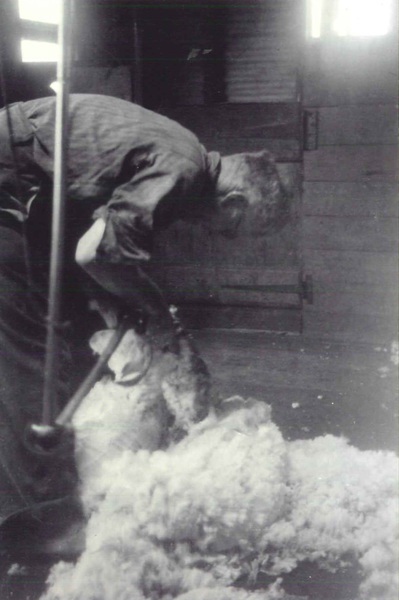 At the outbreak of WW1, George Holding was working on a rural property at Carapooee, south of St Arnaud in central Victoria. 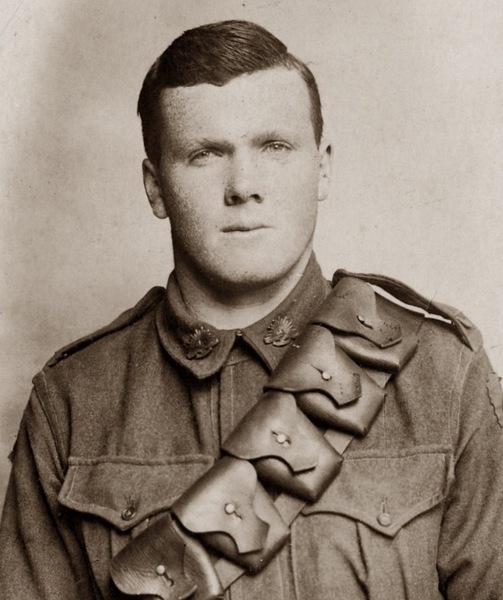 In November 1914, he travelled to the town of Warracknabeal to enlist in the AIF. As he was well under age, he made a false claim on his enlistment papers and stated his age as being 19 years and 3 months – he was in fact three years younger than that. 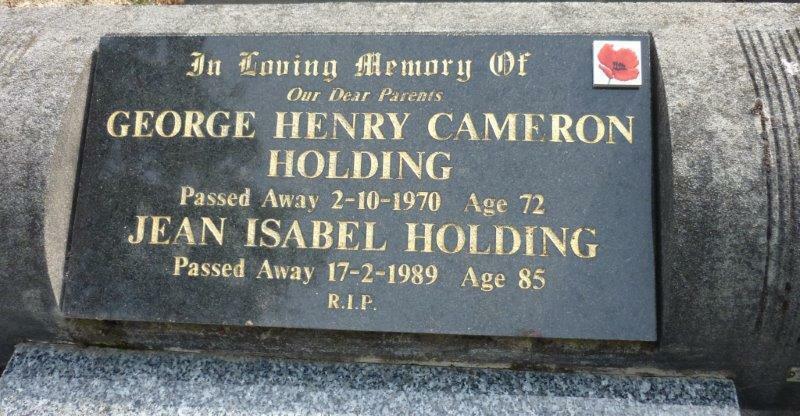 George also stated that both his parents were dead, when in actually fact his father Robert was still alive. 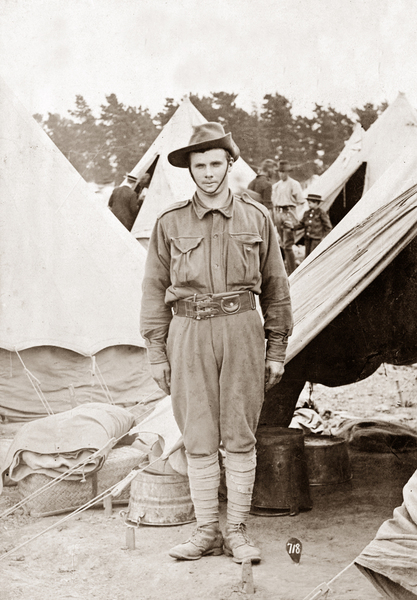 Following his enlistment, George headed to the Broadmeadows training camp on the outskirts of Melbourne. Here he was assigned to the 4th Reinforcements for the 8th Battalion. He underwent a number of months of training before embarking on the HMAT Wiltshire A18 on the 14th April 1915. 1915. During the course of their voyage, the first ANZACS landed ashore at Gallipoli. George and his contingent of men of the 4th reinforcements landed at Gallipoli late on the afternoon of the 26th May 1915. Due to a mix up in communications, their landing ships moored in a position exposed to Turkish artillery fire and subsequently four men were killed and further 41 wounded before they even got into their landing boats to head to shore. This was to be the last day that the British attempted daytime landings of troops at Gallipoli. 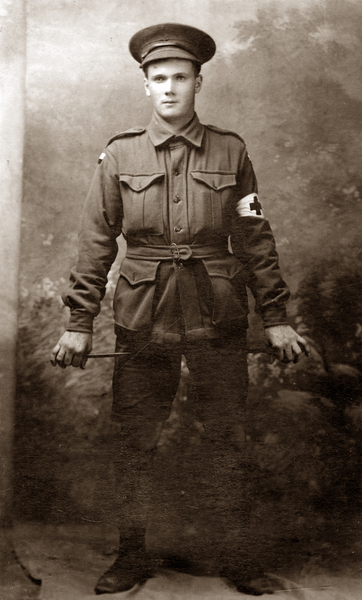 In the ensuing few months, George lived the life of an infantryman on the slopes and in the trenches at Gallipoli. The 8th Battalion rotated in and out of the front, commonly manning positions in the front line sections known as Quins, Courtney’s and Steele’s Posts. 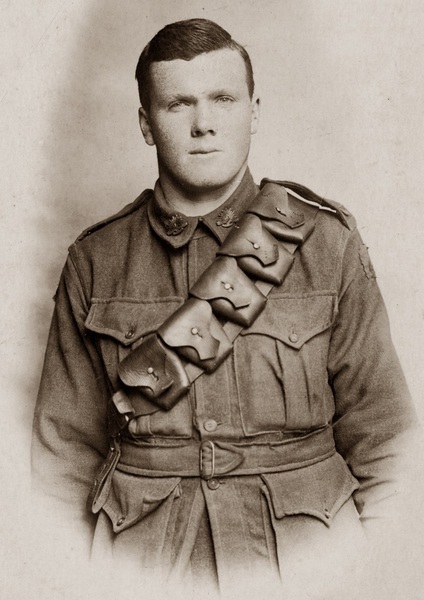 At the time of the August offensive, George was with the 8th Battalion in the sections of trenches between Steele’s Post and Brown’s Dip – to their right raged the infamous Battle of Lone Pine and not far to their left the Australian Light Horse suffered terrible losses in their futile charge at The Nek. On the 19th August, George turned 17 years of age. On the 1st September, George, like many of the men, succumbed to illness and was evacuated off ANZAC, first to Lemnos and then onto Egypt. 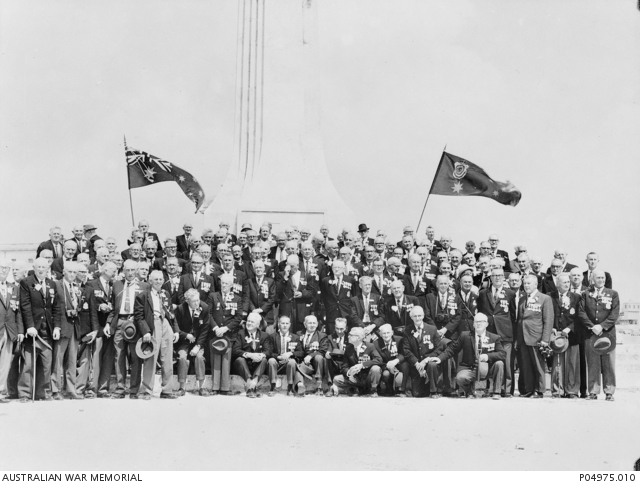 Only days later, the 8th Battalion were also taken off ANZAC and did not return there until later in November, remaining through until the evacuation in December. 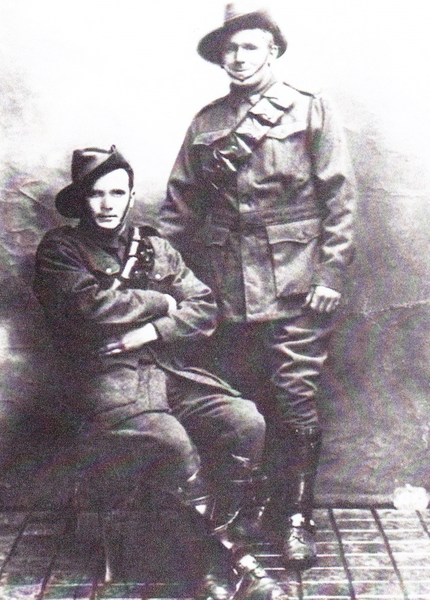 In Egypt, George recovered and by early January 1916 he had re-joined his mates in the 8th Battalion. 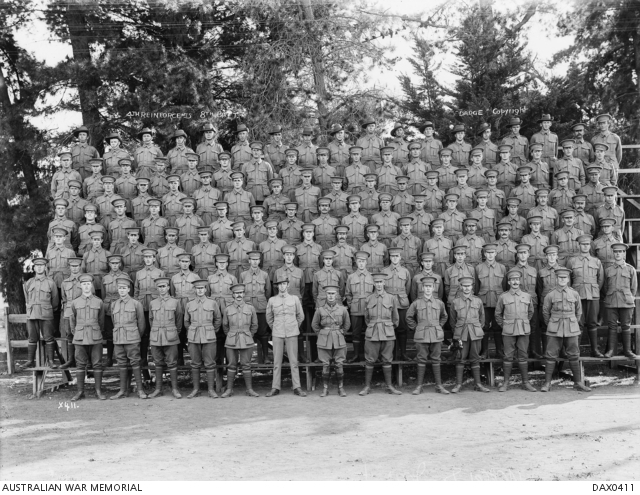 With the war in full swing in France and Belgium, the AIF was rapidly expanding. In a bid to spread experience men amongst the new recruits, the 8th Battalion (like many) was split – with approximately half the battalion forming the nucleus of the newly formed 60th Battalion of the 5th Division. George spent a brief few days with the 60th and then also after a reshuffle, the 58th Battalion, before ending up in the 5th Division Artillery. With the rank of Driver (the artillery equivalent of Private), George was one of the original members of the 55th Field Artillery Battery which formed part of the 14th Field Artillery Brigade of the 5th Division. It was in the 55th Battery that he made acquaintance with two men who would become lifelong mates, Driver Percy Oliver Musgrove (/explore/people/318922) (#2731) and Driver Ernest Norman Peterkin (/explore/people/165978) (#437). Over the next couple of months, George, Percy and Ernest came to terms with workings of the 18 pounder artillery gun – and of course the unescapable sand, flies and relentless heat of the Egyptian desert. By June, the 5th Division were on the move for the Western Front. George sailed out of Alexandria bound for Marseilles in late June of 1916. The 5th Division arrived in the vicinity of Fromelles in France in late June 1916 and early July 1916. A matter of weeks later, their freshly trained but untested artillery was put into action in support of the disastrous 5th Division action at Fromelles on the 19th July. It is somewhat unclear if George was with his unit right at that time – he may have being seconded to battlefield clean up duties on another part of the line. Much of the balance of 1916 for George and the 5th Division Artillery was spent in the Fromelles sector of the front where things remained relatively quiet following the debacle in July. Come November 1916, they were moved to the Somme Valley near Albert and in early January 1917 George succumbed to what would be the first of two long periods of illness. 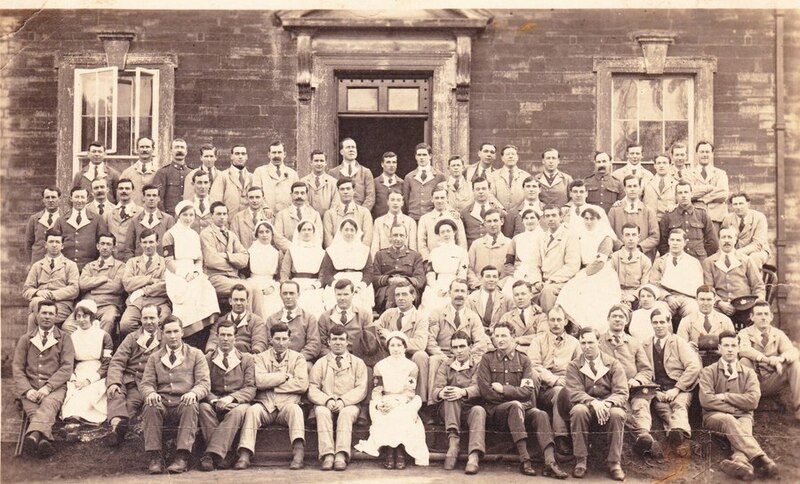 George was transferred back to England to recover from his respiratory ailments and by May was sufficiently recovered to undertake further training at a place called Lark Hill. 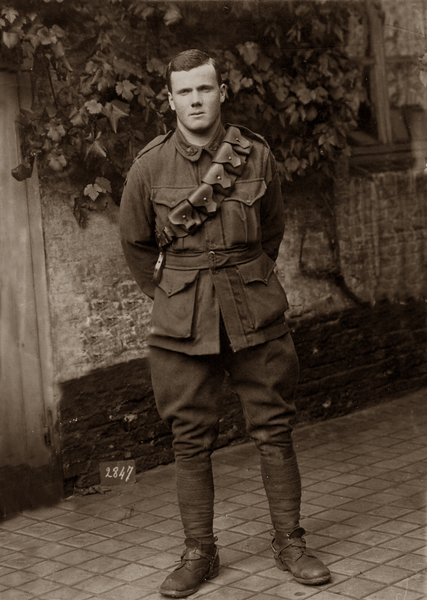 In August of 1917, George returned to the front – this time heading for Belgium and the Ypres sector. The 55th Battery were engaged over the following months in the artillery action support British operations in the Battle of Passchendaele (also known as the Third Battle of Ypres). This was a relentless campaign dominated by intense artillery action on both sides. During the course of October 1917, the 5th Division Artillery sustained losses of 64 killed, 217 wounded in action, 57 gassed and 22 other casualties. 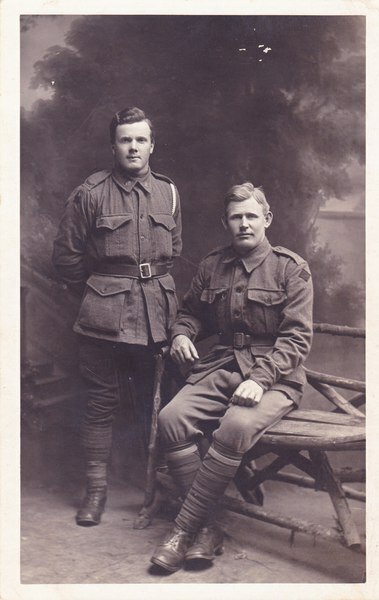 Also fighting at Passchendaele in the latter half of 1917 was George’s older brother, Norman Dougall Holding (/explore/people/218927) (#19851). 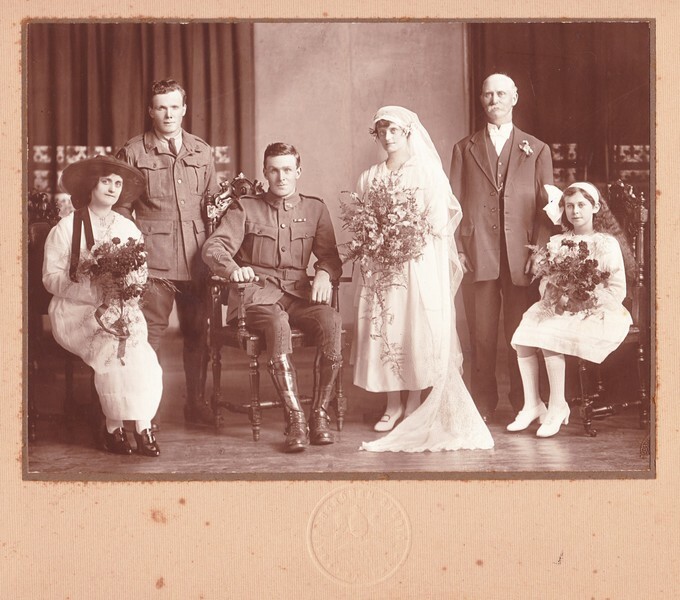 Norman had enlisted on the 1st December 1915 and served first with the 30th Battery, 8th Field Artillery Brigade, 3rd Division before being transferred to the 31st Battery of the same Brigade in January of 1917. In November 1917, the two brothers managed to arrange for George to be transferred to his brother Norman’s Battery, the 31st Battery where they served together until the end of the war. After several months in the Ypres sector, their Brigade moved south to the Somme in France. By April 1918, they were located with the guns of the 31st Battery in the vicinity of Corbie on the Somme. Here, on the 21st April 1918, they witnessed one of the iconic events of World War 1, the downing of Manfred Albrecht Freiherr von Richthofen, otherwise known as the Red Baron. Richthofen’s aircraft crashed into a field approximately 2km south west of their battery position. George visited the crash site and obtained some souvenirs (which were later lost in a retreat) and attended Richthofen’s funeral in the days after at Bertangles, a few kilometres to the east. Some days later, the two brothers were engaged in the 3rd Divisions actions in the Battle of Villers-Bretonneux. In May 1918, George and Norman were with their unit, resting in reserve positions near Epagnette, a village on the Somme River halfway between Amiens and the French Coast. Like quite a few men, they both succumbed to a flu or fever and were both transferred back to England to recover. 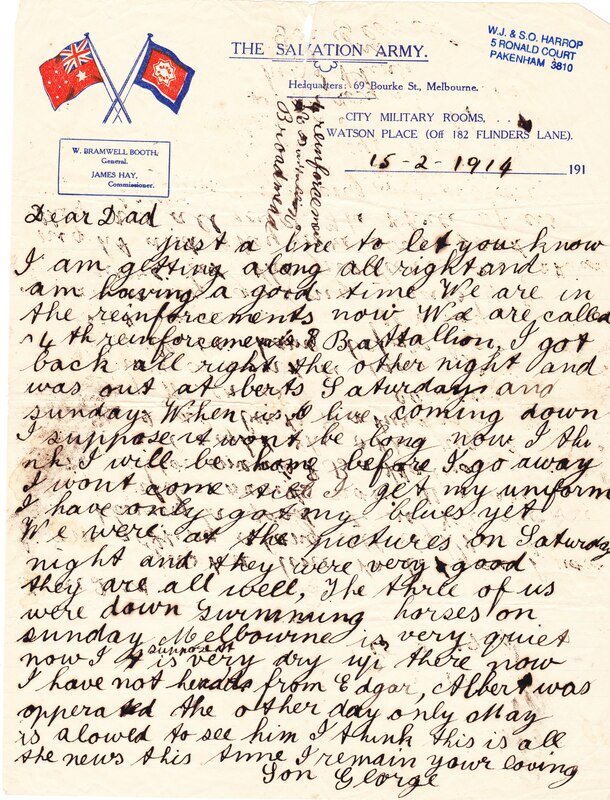 Norman made a quicker recover than his younger brother George and was able to re-join their unit in August 1918, just as the 100 days offensive that would see the war come to an end was about to get under way. George, perhaps due to his previous long bout of respiratory illness, took much longer to recover and did not re-join his unit until late November 1918, a few weeks after the war had ended. 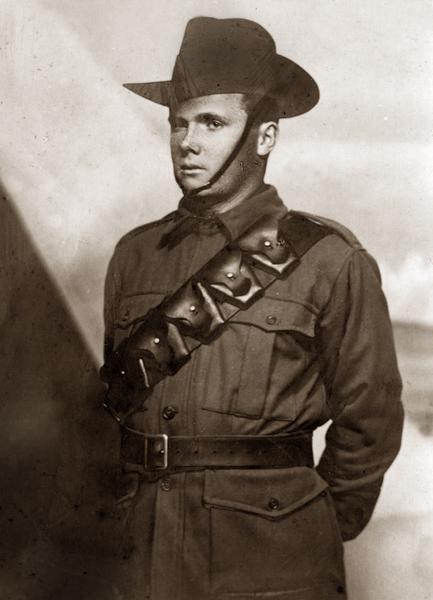 As one of the men who had enlisted early in the war, George was amongst some of the first groups of soldiers to head back to Australia. George departed England on the 25th January 1919 on the HMAT Ceramic A40 and disembarked in Melbourne on 23rd March 1919. 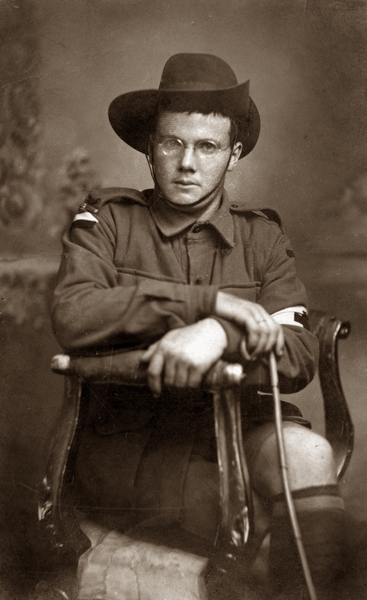 Over the next few years, George lived in Melbourne recovering from his experience in World War 1. 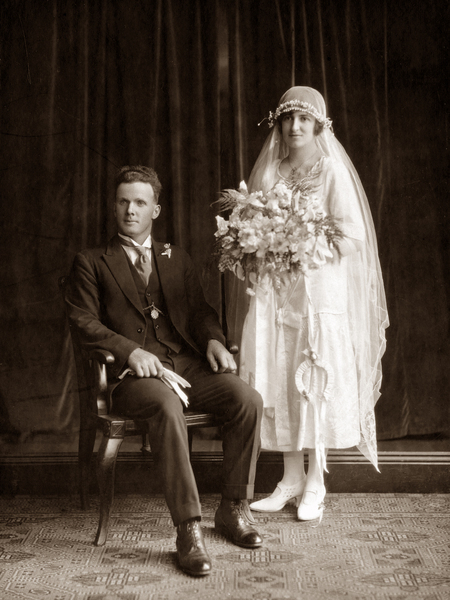 By 1923 he had moved back to the family block at Glenpatrick, near Elmhurst in central Victoria. 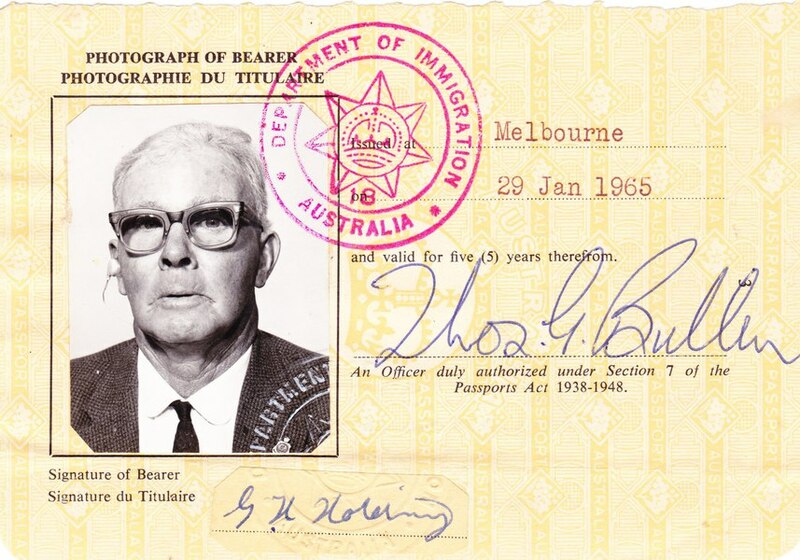 Later that year he made application to take on a “Closer” or Soldier Settlement block in the Mt Bute Estate south of the small town of Linton west of Ballarat. The first returned soldier to take on this block in 1921, Private Noble Kerby (/explore/people/195525) (#51630), had been unsuccessful. George was successful in his application and moved to the property that would become known as “Bute Hill” in late 1923. 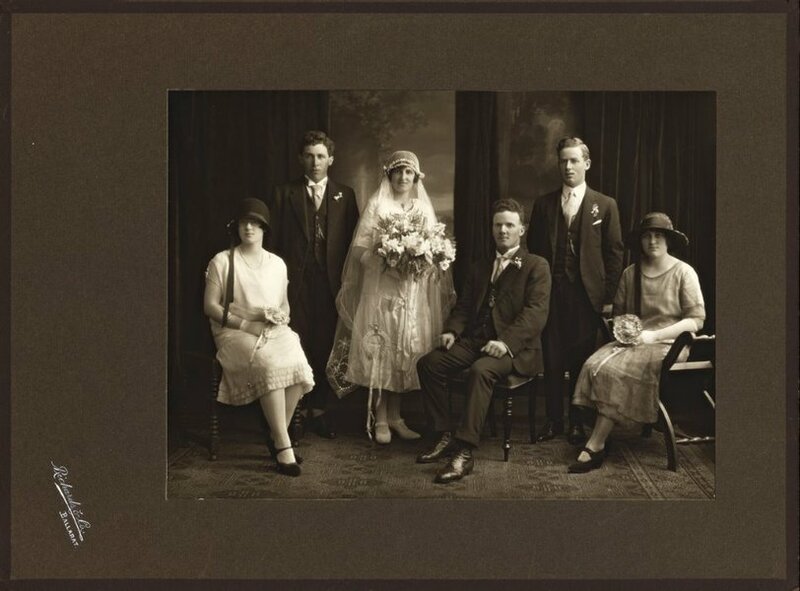 In April of 1926, he married a local girl, Jean Isobel Kerr and over the ensuing years they had four sons. As their family grew so did the farm, with George and Belle (as she was known) acquiring neighbouring blocks of land – first a block known as “Tardrew’s” which had originally been taken up by Private John William Tardrew (/explore/people/187370) (#2764) and then years later a block known as “Hitchins” which had originally been taken up by Trooper Norman William Dawes (/explore/people/200577) (#3175). 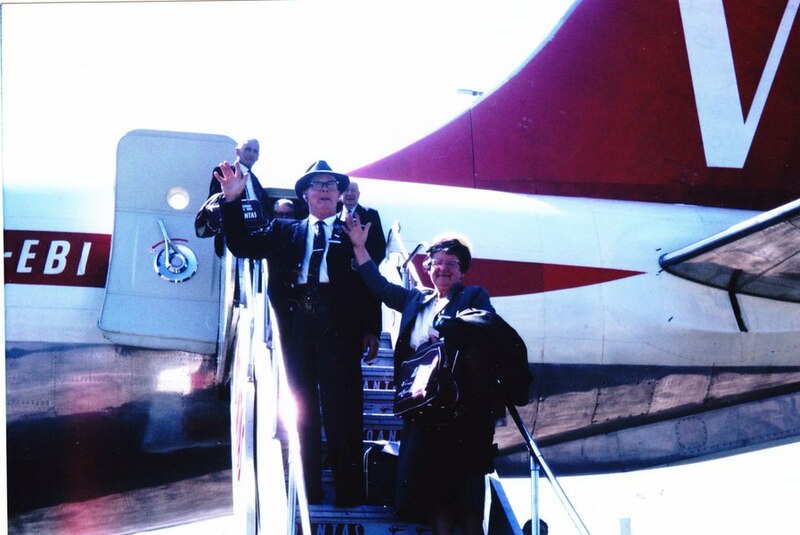 In 1965, George and Belle were amongst a tour group of just over 300 who participated in the RSL-RSA Gallipoli Pilgrimage back to Gallipoli to commemorate the 50th Anniversary of the landings at Gallipoli. 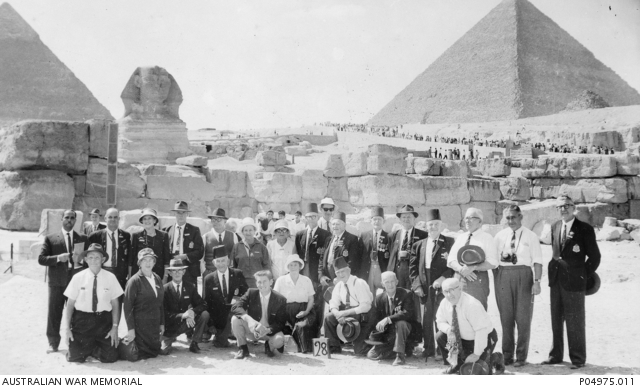 During this trip they visited such places as Tobruk, Malta, Cairo and Istanbul before returning to the shores and ridges of ANZAC to mark the 50th Anniversary. 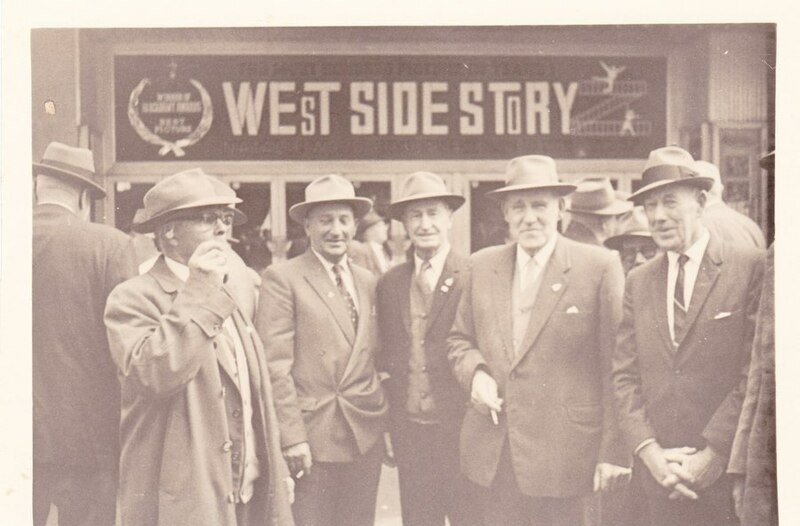 George Holding proudly participated in ANZAC Day services right through his life, attending the ANZAC Day march in Melbourne each year, often with his brother Norman and sometimes his mates Percy and Ernest. George passed away at the age of 72 years on the 2nd October 1970. He is buried in the Linton cemetery with his wife of 44 years, Belle Holding. Belle lived until 1989 and passed away at the age of 85 years. As of April 2016, George and Belle had four children, nine grandchildren, seventeen great grandchildren and one great great grandson. Showing 4 of 22 images.